Our experienced advisors help you source the most suitable training providers. 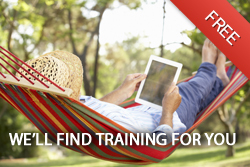 Personalised course recommendations & corporate training quotes - all for free. Apply for our ''Innovation in Learning & Development'' award!